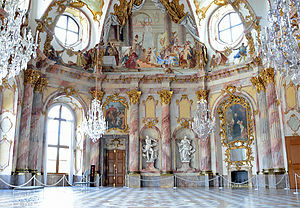 ↑ "Rococo style (design) - Britannica Online Encyclopedia". Britannica.com. Retrieved 24 April 2012. ↑ Marilyn Stokstad, ed. Art History. 4th ed. New Jersey: Prentice Hall, 2005. Print. ↑ Ancien Regime Rococo. Bc.edu. Retrieved on 2011-05-29. ↑ Rococo – Rococo Art. Huntfor.com. Retrieved on 2011-05-29.